As an employee, you must receive your adequate wages from your employer as it is your right. 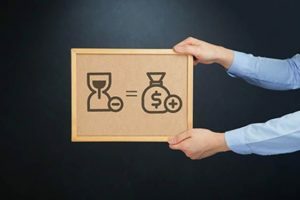 If you are a non-exempt employee, you are entitled to a payment not less than a time and one half your regular rate of pay if you work in excess of 40 hours in a full workweek. This is obtainable in most state laws. If your employer whether past or present has refused to pay your rightful wages, then you should seek sound guidance from an attorney. An attorney with experience in matters of wages-pay cases will play an important role in making your voice heard and provide you with sound representation in court. Rawa Law Group is a foremost legal firm in California. We have worked tirelessly for over twenty years to bring satisfaction to many residents in Santa Ana. Our Wage and Hour attorneys are well acquainted with the dictates of the law and you are guaranteed of first class service delivery. We will help you create a concrete case by bringing together every important report and detail required to bring your desired victory in court. It is important to note that we do not request for any upfront payment before we take on your case, you will only pay when you have gotten your due compensation. Kindly contact us today via the address below. We will be delighted to hear from you.